Learn about our Paper Shredding Services in the Boston MA area. We play a very important role in protecting our natural resources. Recycling paper allows us to recover waste paper and turn that waste stream into useful products. We are pleased to report that 100% of our waste stream is recycled. We never use landfills to dispose of our waste. Paper recycling not only saves trees, but it also saves oil, energy, water, and saves significant landfill space. A paper recycling program is something that every responsible business should be involved in. This shredding service program is very simple and requires very little time. Our shredding service company can develop and implement your Boston MA paper-shredding program. Secure Off-site document shredding and media destruction in the Boston, Massachusetts area is now easier than ever! 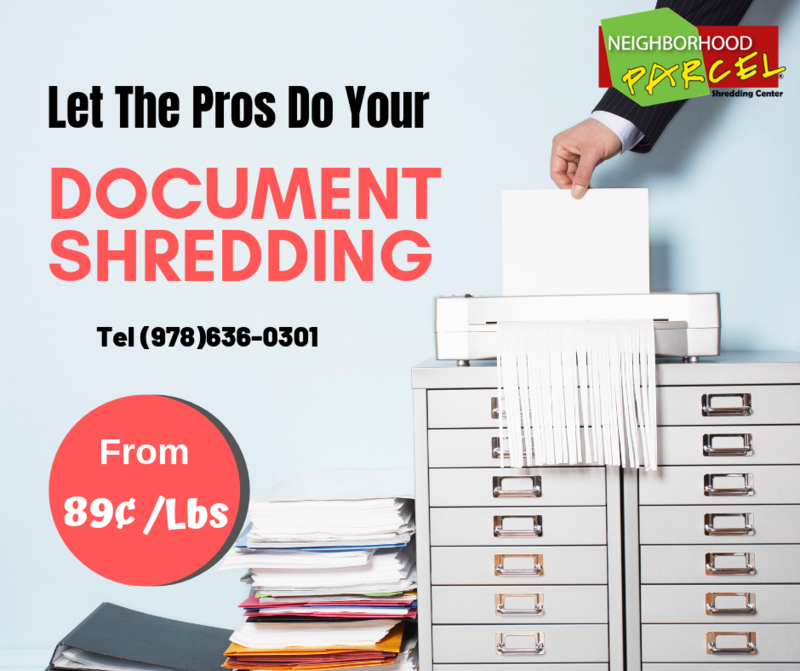 We can have your confidential documents shredded right away with a single call to our office. We operate seven days a week and our service meets the latest HIPAA and State Privacy Law Requirements. Our shredding plant is AAA Certified member of the National Association for Information Destruction (NAID). This third-party Program establishes the highest standards for information destruction companies so you know you will be hiring one of the best and most reliable shredding services company in the area. Our Off-site shredding services are designed to handle large volume shredding projects for your home or business securely and at a reasonable cost. If you have a large volume of documents to shred, off-site shredding is your clear choice. 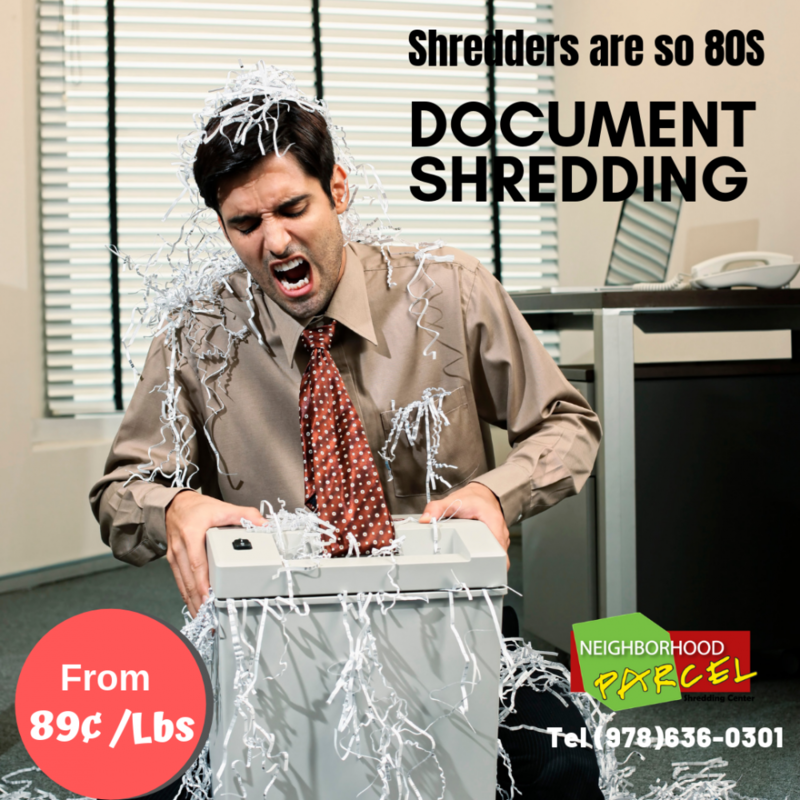 Our rates start at 89¢ /lbs, often the invoice amount is a fraction of the cost of a shredder. We can shred your old records, files, statements or media at a fraction of the cost others will charge you and often cheaper than having to buy your own shredder and waste valuable time in front of while it jams, overheats and fills your office and home with dust and unnecessary noise. Call us Today (978)636-0301 and leave the shredding to us!